If your car displays unusual behavior or instances such as your speedometer winding down from 80 mph to 50 mph, it means that there is an error that you should attend to in your cruise control system. The first step to solving this problem is by recognizing their symptoms. Control buttons on steering wheel in a modern car. These materials are already installed in your cruise control system. By activating the cruise control of your car, the speed sensors automatically move to forward a signal intended for the control module as well as for the vacuum powered actuator which is directly connected to the accelerator control. This is what enables you to take off your foot from the accelerator and relax while on the road. By putting a little pressure on your break, you can easily deactivate your cruise control. It is as easy as this. The above section discussed how the cruise control works, its actuator mechanisms, control module, as well as speed sensors work. As you can see, these three features show an apparent connection that dialogically works with one another; meaning, a faulty wire on one end can adversely affect the others. Examine your speed sensor wiring and search for any signs of possible damages. These damages may be caused by various factors such as too much heat in your vehicle mechanism or an animal getting into your car and chewing the cables and wires – which is highly possible. To see this, simply raise the front portion of your vehicle using a highly reliable and sturdy car jack stand. With his part of your car suspended in mid-air, locate your speed sensor. Normally, you can find it just a few inches below your car’s transmission and at the back of your vehicle’s engine. Speed sensors look like a tiny plug that juts of the transmissions. It has wires and cables attached to it. This is where your work enters: check and examine these wires for any signs of impairment. Any damage on your speed sensors can greatly affect the reliability of your car’s speed. When owning a vehicle, there is one vital thing you should always bear in mind: any kind of power surge can effortlessly blow out the fuse in the cruise control system of your car. Therefore, any malfunction in your control system mechanism can be a result of a damaged fuse. Check the fuse of your automobile to see if it is causing any glitch. This is normally located in the fuse panel, just below your car’s steering wheel. When you see it, remove the lid of your fuse panel and find the fuse that is directly linked to your cruise control. Pull it off your control panel with the aid of a fuse puller. Afterwards, examine the cruise control fuse and see if the thin metal strip inside it is still intact. If it is broken, then simply install a fresh fuse with similar amperage in your car. If you look closely at your cruise control system, you will notice that vacuum lines are connecting your vacuum powered actuator and control module. This connection enables the smoothness of the operation. Aside from examining the fuse and your speed sensor, you might as well see if your vacuum lines have accrued any holes on it. This is done by simply opening the hood of your car and starting your vehicle’s engine. 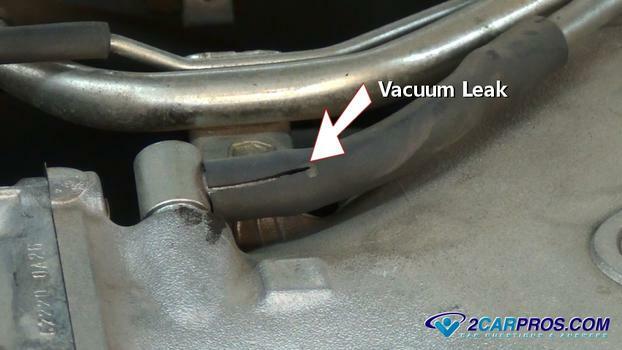 As it goes on, lean down close the vacuum lines and listen for any symptoms of vacuum leaks. Know that any sucking noise you hear means that the vacuum lines that link your actuator and control module are damaged. If there is no sign of this, I am advising you to do a visual check of your vacuum lines and see if there really is no leak. If there is, simply bring your car to a professional mechanic and have it replaced. Cruise control is an essential attribute of your car that is specifically designed to provide ease and make driving less tedious. With it, you can relax your foot from the job and have your vehicle move at a steady phase. However, a faulty cruise control could bring unintended consequences. This could be in the form of a law enforcer chasing you due to some speed concern or simply by making your driving more cumbersome. In this article, you have learned the way on how to fix the cruise control system of your car. I hope you find it helpful. If you have any suggestions, please leave your note in the comment section. Also, don’t forget to share this piece to your friends.